The Army Black Knight's defeated the Manhattanville Valiants 71-40 at the United States Military Academy's Christl Arena in West Point, NY on Friday, November 25, 2011. 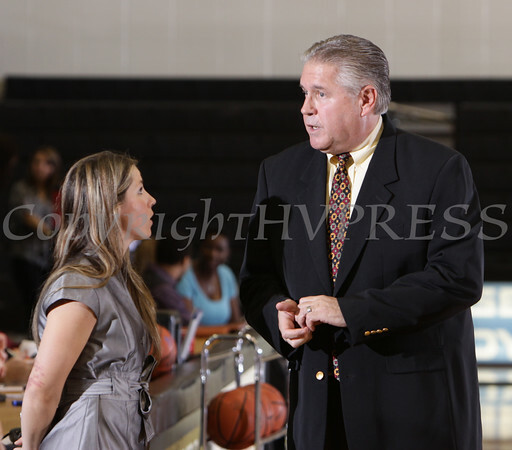 Manhattanville and Army head basketball coaches Lauren Thomer and Dave Magarity chat prior to their non-league contest in Christl Arena at the United States Military Academy on Friday, November 25, 2011. Army defeated Manhattanville 71-40. Hudson Valley Press/CHUCK STEWART, JR.